ECOGIG partnered with EcoFocus Film Festival and several institutions across Athens and the University of Georgia to bring the filmmakers of the award-winning film Chasing Coral to the Athens area for a free public screening and school field trip series in October. Photos of the events are available on our Facebook page. 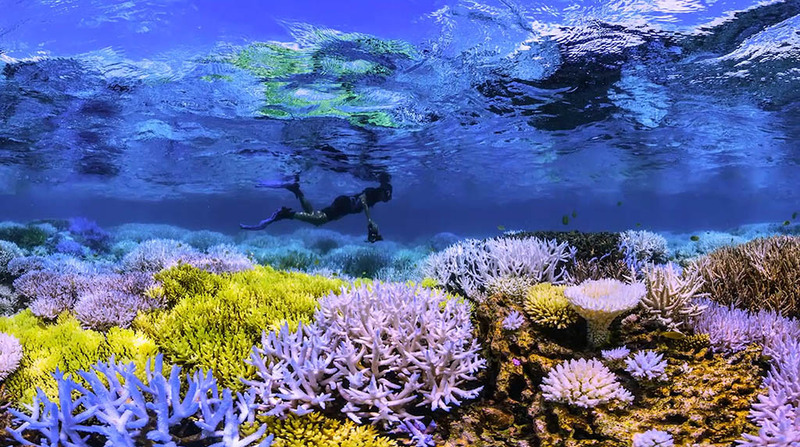 Chasing Coral follows a team of divers, photographers, and scientists as they set out to discover why coral reefs around the world are vanishing at an unprecedented rate. The public screening will take place on October 4, 2017 at 6:00 p.m. at the Tate Student Center Theater on the UGA campus. Following the screening will be a panel discussion with the filmmakers and film subjects, including Dr. Jim Porter, professor and coral ecologist in UGA's Odum School of Ecology. This event was part of a larger project to engage the public in the Athens area about the importance of healthy oceans. During the filmmakers' visit, local area schools participated in field trips to see the film, met the filmmakers and took part in educational activities about ecology, marine science, and ocean health. Financial support for this project came from Kirbo Charitable Foundation, Reef Ball Foundation, ECOGIG Research Consortium at UGA's Department of Marine Sciences, Peabody Media Center, Katherine and Bertis Downs, Odum School of Ecology, and Willson Center for Humanities and Arts. Additional promotional support was provided by UGA’s Speak Out for Species club, UGA Marine Extension and Georgia Sea Grant. We are grateful for the partnership of the Clarke County School District. Chasing Coral won the Audience Award for the U.S. Documentary category at the 2017 Sundance Film Festival. For more information about the public screening event, visit the EcoFocus Film Festival. website. View a trailer for the film here.